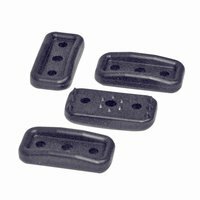 Strong nylon plate for mounting footstraps. Eliminates twisting. Washers sold Individually.